Collaborative blog post by Mike Fisher and Jeanne Tribuzzi, of the Curriculum 21 Faculty. The companion LIVEBINDER OF INTERACTIVE TOOLS IS HERE. Expecting students to read deeply and draw meaningful conclusions is at the heart of the Common Core ELA standards. Students are asked to read closely, cite evidence, and make evidence based inferences when they read. They are expected to deepen their learning by valuing textual evidence and reading critically. Annotating text is one way students can cite textual evidence, infer and deepen meaning as they read..
Annotations make thinking visible for teachers and students. We can use the words and features of a text to better comprehend it, ask questions, and note our thoughts while reading. One goal of comprehension is that students will be proficient annotators of texts to understand more deeply by interacting and making thinking transparent while they read. There are many reasons to ask students to annotate text: for basic comprehension, to show evidence of conceptual understanding, to show what is implied, to identify the claims in an argument, to read like a writer and identify characteristics of genre, to notice the nuance of language…and many other reasons. Giving guidance as to what we want students to annotate for will be beneficial for the reader. Otherwise, they will annotate everything that comes to mind, and the work may not be helpful to the reader or the teacher. Annotations are often a singular, individual experience. 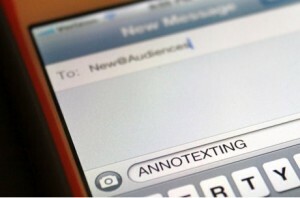 Annotexting ups the ante all around. Annotexting is a process that involves the collection of thoughts, observations and reactions to reading that show evidence of critical thought. These annotations, rather than being on paper, can be collected with different web tools so that students can collaborate, both locally and globally, around the conclusions that they will ultimately draw from their reading. Students submit their annotations via their smart phones or other digital devices, and then analyze each other’s notations collectively. They could be looking for main ideas, thematic and literary elements, or big ideas from the work. They could be looking for evidence of connections to other texts, their own experiences, or world issues. They could simply be searching for meaning to support them when reading complex texts. In addition, students could reflect on the collective evidence as a metacognitive activity to assess their own learning. Perhaps the collaborative exercise raised new questions for them or offered them new ways of thinking about the text. Perhaps there is something else the student wants or needs to know? Metacognition can be strengthened when citing evidence in text. Textual evidence that supports the thinking behind what they are thinking is a gigantic first step into the depth and complexity that the Common Core is asking of students. Annotexting kicks that up a notch by engaging task specific tools that offer opportunities for strategic thinking and globally connected opportunities. The student wrote all over this poem. The student underlined specific words and wrote annotations about them in line with the text. This student is engaging in a thoughtful, albeit singular, analysis of this poem. What changes with multiple perspectives? We have our own ideas about squat pens and writing utensils as weapons (based on the student’s annotations) but they are different than this student’s collection of evidence. What would have changed in the interpretation of this poem if our perspectives were woven together? Does the collaborative process of conversation yield a greater product? Does the thinking extend when multiple perspectives are mixed? Does the evidence yield to strategic thinking when multiple viewpoints are involved? Besides the strategic and capable use of digital tools, annotexting offers students the opportunity to value evidence, think critically and engage with different perspectives. Rather than working independently to read, comprehend and analyze text, annotexting will allow students to engage with other audiences in tasks with an expanded purpose, supporting college and career readiness. We’ve created an example of what this could look like in Corkboard using William Blake’s poem, “The Tyger.” (Click on the Corkboard tab in the Livebinder. The example is in a subtab.) You can see other examples in several of the tabs in the binder. We would also like to share this DISCUSSION RUBRIC (2007) that you can use as students submit annotations and begin to draw conclusions about what their evidence is pointing to. In order to get students to own this process, we have to relinquish some control. Let them think, let them make mistakes and respond. Let them draw conclusions even they are not the conclusions we would have drawn. We can be there to coach them through misconceptions. The college and career ready student (on page seven of the ELA Common Core document) is expected to attend to audience, task, purpose and discipline in both reading and writing. The standards also expect students to think critically and value evidence. The document goes on to explain that the college and career ready student should use digital media strategically and purposefully. Annotexting is at the intersection of all of these capacities. In addition to collecting evidence with web tools, there are also digital APPS that we’ve come across that would work for Annotexting too. (These are represented in the LiveBinder as well.) Some are notetaking apps that let you collect evidence and annotations with a digital device and some let you edit and annotate PDF files and documents. There are resources in the binder for both iTunes and Android Market Apps. PaperPort (this one’s free) it let’s me import my pdf files…and annotate them! Fisher, Michael L., Jr. and Nancy Cook. “Notice, Think, and Wonder: New Pathways to Engage Critical Thinking.” IN TRANSITION: Journal of the New York State Middle School Association. 25.1 (2007): 15-18. Web. 25 Feb. 2012. <http://www.nysmsa.org/associations/611/files/ITv25n1_Fall 2007.pdf>.